Wood USA Bats are legal without a USABat stamp AS LONG AS they are constructed of a single piece of wood. Bats constructed with multiple parts, meaning those we often refer to as composite wood bats, laminated bats and bamboo bats must have a USABat stamp to be legal. Single piece wood bats are basically what you think of when you think of wood bats. These are constructed of a single piece of lumber (called a billet) lathed down into the shape of the bat. The manufacturers that produce these types of bats feel endless. And, turns out, the vast majority of those same vendors make youth wood bats too. Some of our favorite single piece youth bats are Marucci, Chanlder and Sam Bat. More common place wood youth bats are places like Easton Wood Bats and Demarini wood bats. As of this writing there are no multi-piece bats with a USABat stamp. That means, until further notice, those who want to swing a wood bat in a Little League etal. game will be required to go with one of the single piece bats above. When Will Multi-Piece Bats Be Available In USABat Versions? We have heard of no composite, bamboo or laminate type of bat in the works for the USA market. We would guess, at best, the late summer of 2018. 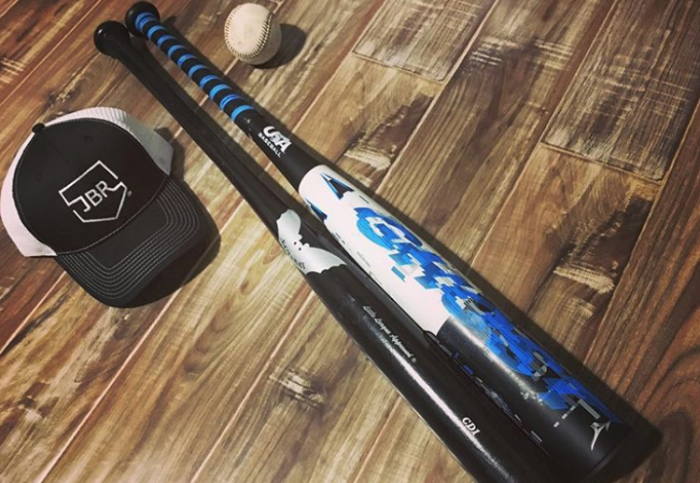 Our guess is Easton or DeMarini, who have the funds to get the testing done and have the market data to support a USA composite/bamboo-type wood bat to the first market. But, considering there are so many wood bat companies in the work someone might jump up and surprise us. If USA Bats Swing Like Wood, Shouldn’t You Just Swing Wood? There is a rather sizable contingent of wood bat reps and wood bat companies pushing the idea of getting a wood bat instead of an aluminum or composite bat for their USA player. By almost every account this is a mistake. Although the answer of course depends on a number of factors, our general sentiment is no. Wood bats might have, in theory, the same trampoline effect as a USABat but the length of the sweet spot and lower swing weights of aluminum/composite are much more attractive to the vast majority of Little League hitters. To say nothing of the durability, and long term cost, of a wood bat. We do think most serious youth players should have a youth wood bat they occasional use in blow out games or batting practice. But, the player who find a wood USA Bat as their #1 stick would be a very unique player.